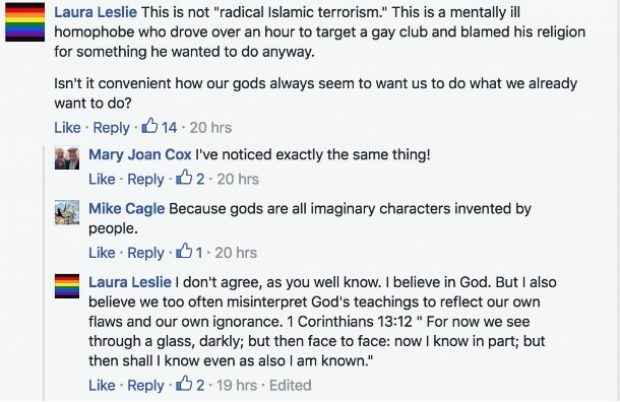 In a pair of since-deleted Facebook posts, the Capitol Bureau Chief for NBC North Carolina affiliate WRAL blamed supporters of the state’s transgender bathroom bill and their “rhetoric” for the Orlando terrorist attack that left 49 people dead and 53 others wounded. During the attack, Mateen called 911 and pledged his allegiance to ISIS. When he was in fifth grade, according to his classmates, Mateen threatened to bring a gun to school and shoot everyone there. 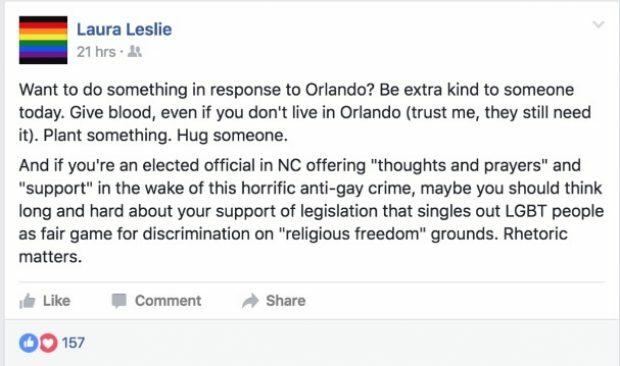 WRAL declined to provide a comment to The Daily Caller regarding Leslie’s posts.